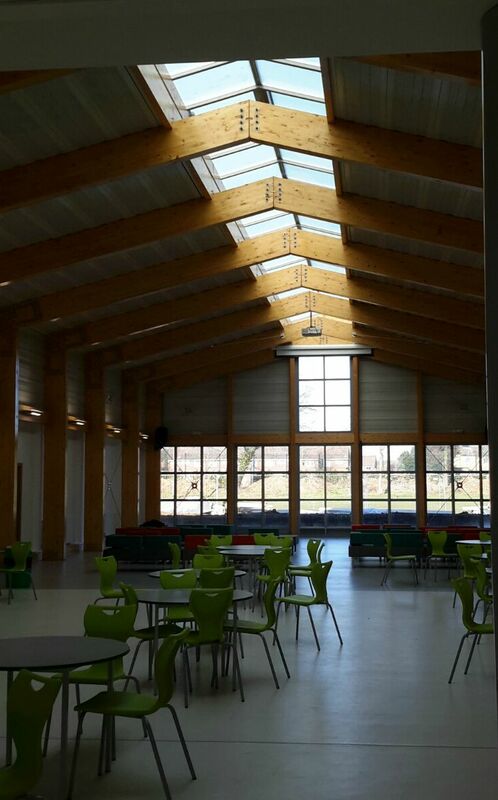 Extraspace Solutions Ltd were contracted for the Construction of a modular 6th Form Pavilion Building on site. This comprised the installation of 24 bespoke modular units to the Ground Floor of this New extension, in two rows of 12 units to form Teaching areas, Offices, Stores and Toilet facilities. A further 10 modules were placed on top of a steel frame erected to form a First floor a Recreation and Study area. The building consists of three Structural elements: Traditional steel frame, Glulam timber frame and offsite Modular Steel framed units. The modular element and foundations below the modules have been designed to accommodate an additional floor. The Building is clad with a blend of Render and Composite panels. The ExtraspaceModular floor is designed in line with the more onerous conditions of the Steel Construction Institute’s Publication P276. The Building has also been designed for a Site specific wind speed of 21m/s. Pad and strip foundations have been provided throughout the Site and have been designed and detailed separately. 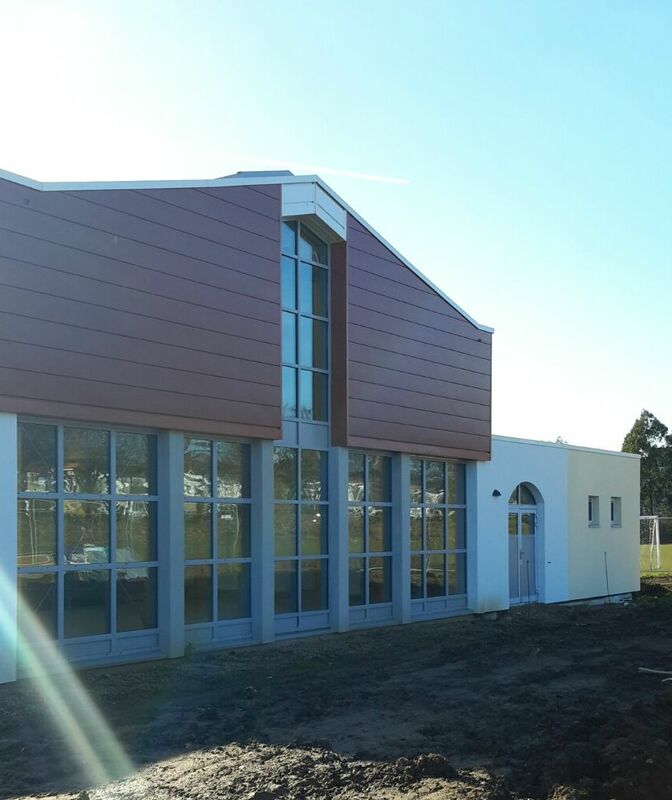 The external of the Building has had two types of rainscreen Cladding fitted. A rigidal Ziplock system has been used in a small area whilst Parex renderboard and render has been used over the rest of the building, using different colour finishes to accentuate the Architect’s design and also to provide swept arched heads and faux columns to the banks of windows. Large panel windows and doors have been used to the two stairwells to make these a feature and bring extra natural daylight into this area. 4 Kingspan kerbs have also been fitted to the First floor roof in order to fit 4 Ornamental rooflights to afford additional natural daylight to this study and recreation facility.